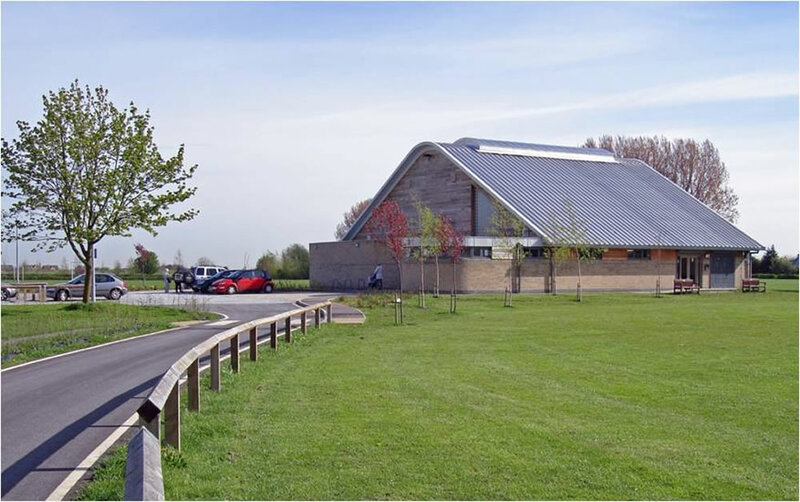 Bluntisham hall is a new multi-functional community building which forms a new focus for village life in Bluntisham. The new facilities were designed and delivered for the Parish Council, with a brief developed with the council, local community groups and residents. Sited in a sensitive and open area, the building sits comfortably within its Fenland context. The hall provides changing facilities for the adjacent playing fields, a bar and communal area. The main hall provides space for competition badminton and 5-a-side football, whilst also being versatile enough to convert to a place of assembly for community meetings and theatrical performances. Amongst these different uses, the building also provides a new doctor’s surgery with modern healthcare facilities for the benefit of the local community.